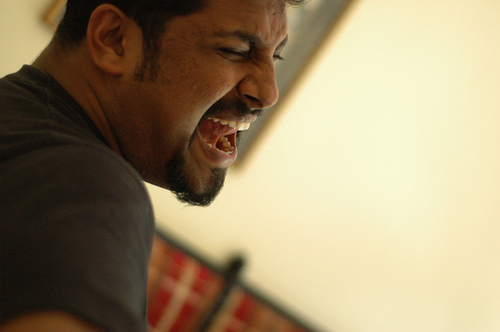 Raghu Dixit born in mysore, Karnataka, india. Raghu Dixit is settled in Bengaluru. 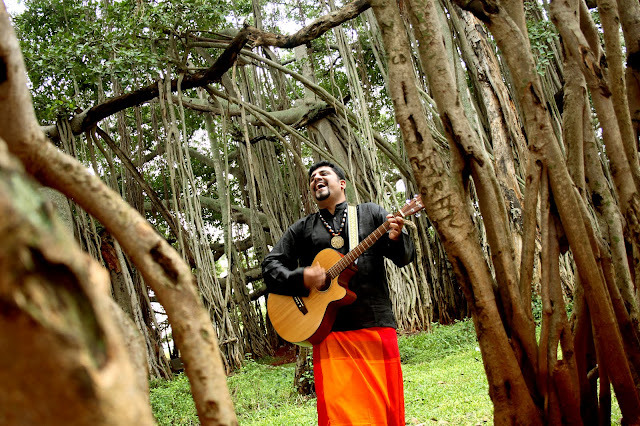 Raghu Dixit a gold medalist in Masters in Microbiology and a proficient Indian classical dancer (Vidwat in Bharatanatyam), Raghupathy Dixit is now known more as a self-taught composer and muscian. As the founder-front man of his band Antaragni for more than eight years, and now of The Raghu Dixit Project, Dixit has performed more than 250 concerts all over India. 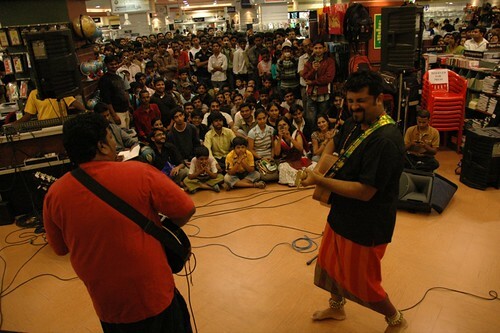 In 2008, The Raghu Dixit Project launched its debut album Antaragni: The Fire Within. Raghu is a self-thought guitarist and singer. The catchiest part of Raghu's concert is his unique voice which goes beyond ranges and the measured humor that he puts in without any effort. His lyrics are about every common man's emotions and experience. His songs Mysore se aayi, Mumbai, Antaragni, Hey Bhagwan, Har Saans Mein, Gudugudiya, Khidki are popular among his fans. Most of his songs are influenced by Shishunala Sharif, a saint and poet from the state of Karnataka in India. Dixit has produced music for contemporary dance and theatre productions. He has composed and produced music for most of the productions by the Indian contemporary dance group Nritarutya. Girish Karnad's Hayavadana for TopCast and Black Coffee's Body Catcher have been his most famous works that brought him critical acclaim as a composer for theatre productions. In 2008, he debuted as a music director in the Kannada film industry with Psycho.Raghu Dixit also composed and sang one song in the Bollywood movie Quick Gun Murugan. His new Kannada films, Just Math Mathalli and Kote, had soundtracks released recently, becoming a big hit with audiences. He made his Bollywood debut with the film Mujhse Fraaandship Karoge in 2011. He has played many shows all over the world including in the United States, the UK, Korea, Japan, Russia, Hong Kong and India. He performed in the Parappana Agrahara Central Jail of Bengaluru City. He played at the SAMA Festival in North East England, as part of a 6-day collaborative project involving folk musicians from Rajasthan and Northumbrian folk musicians from the UK. In 2007, he played at the French Kiss Tour – World Music Day (Fete de la Musique). The Raghu Dixit Project performed with three French musicians Anaïs, Emily Loizeau and Mademoiselle K. In February 2008, the Raghu Dixit Project performed at IIT Guwahati's cultural festival Alcheringa, their first performance in any college cultural festival. He also performed in the Indian Institute of Science on the eve of Miditha, a cultural fest. He was also the headlining act at Strawberry Fields 2010. Recently he performed at Infosys on the eve of cultural Fest "FIESTA" also performed at MSRIT Bengaluru dated 12/03/2012. 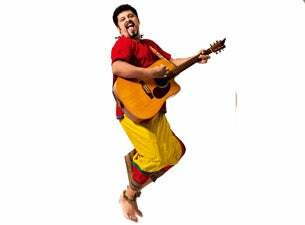 In June 2011 the Raghu Dixit Project appeared at the Glastonbury Festival in myriad venues: firstly on Saturday in the Croissant Neuf tent, followed by an appearance on the John Peel stage on Sunday. Then later that day, they were guests with Mark Radcliffe and Jo Wiley for a performance in the BBC Glastonbury garden and finally performed on the Leftfield stage, curated by Billy Bragg. In December 2011, the Raghu Dixit Project performed with the Indian Rock Band Agnee at the Open Air Theater in IIT Bombay for the Mood Indigo cultural festival.He also performed at MSRIT Bengaluru dated 12/03/2012 He performed in Jayciana 2011 at SJCE. In March 2012, he performed at BITS Pilani KK Birla Goa Campus, at the evening of SPREE Goa Half Marathon 2012 and at P.E.S. Institute of Technology's fest Aatmatrisha, which was a tremendous success. Mayuri Upadhya is wife of raghu dixit. The two have been married for five years now. The musician, used to teasing instruments, can't let go of the habit and baits his wife a lot. "There are three versions to this story at least. My version, her version and the truth which basically is my version," laughs Raghu. "No, my version is true," insists Mayuri. "We basically met through a mutual friend who was a photographer. He told me he had a shoot with some dancers. We met there. Then after two weeks, Mayuri called me asking for the photographer's number," says Raghu. Mayuri takes over with: "He thinks that was me hitting on him," and the argument continues. "When I asked her out on our first date, she said my mother won't allow me. So I just called her mother. Her mother was ok about it. All she said was to bring Mayuri back by 10," says Raghu talking about the in-laws. "It was a natural progression that led to its logical conclusion," he continues talking about how they came to being married. Two artists living together, one wonders, what it must be like? "As artists, we are very passionate about what we do. We don't have structured lives. I couldn't have been happy with anybody with a regular day job, they wouldn't have understood," says a thoughtful Mayuri. "She gives me the strength to deal with the stress. The outside world only sees the glamour of it but what we do is very stressful. So we come back home and the find comfort in each other," adds Raghu. They seem to participate actively in each other's art. Raghu composes music for Mayuri's dance troupe and she acts in his music videos. "I take his opinion very seriously,'' says Mayuri to which Raghu adds: "She is the first person to hear all my songs. Sometimes I've canned songs because she didn't like them." With their busy schedules, how do they manage to find time for each other? "We have our coffee time in the morning and of course, our dinner time. If not dinner then maybe a glass of warm milk, but this time is sacrosanct. That's our everyday dose of energy. We make sure that we take some time out in a year to go travelling. I like to go on adventures trips, he likes to go on relaxing holidays. We mix it up. Like this year, we went river rafting and then to Corbett National Park," Mayuri lets on. "We watch a lot of movies. We like to read. I love autobiographies and am a history buff. She likes Archies, Asterisk, books on business. Her reading is very unique. We are also foodies. 3 story's, Hard Rock, Kyra among other places are our favourites. Eating puris at K C Das every Sunday morning is a must," says Raghu. The couple say that they feel connected to Bangalore but as performing artists, they find it a hard city. "As an artist I find that the City is seriously lacking in opportunities. It's come to a point where if you want to pursue your art seriously then you have to relocate to Mumbai. Even if you say you'll create your own opportunities then there are so many restrictions," says Mayuri. A thought Raghu builds on with: "The babus and the law-makers are inflexible. Some of these bans are hard to understand and are tough on the artists. You need licences and permissions, it's not easy." Given the struggle, why did they choose Bangalore as their base? "The weather is wonderful," responds Raghu immediately. "The City isn't very commercial. The people here are more open to experimentation." Mayuri pitches in. Raghu nods in agreement. "Every 200 kilometers in this country, languages change, the dialects change and the food changes, lives and lifestyles change and my music is unique and probably the USP is that it's sung in a vernacular tongue… its adds mystery."